Enjoy a Breakfast, Lunch or Sundowner cruise while viewing the game grazing along the shores of the lake or simply relax while our friendly crew look after you. 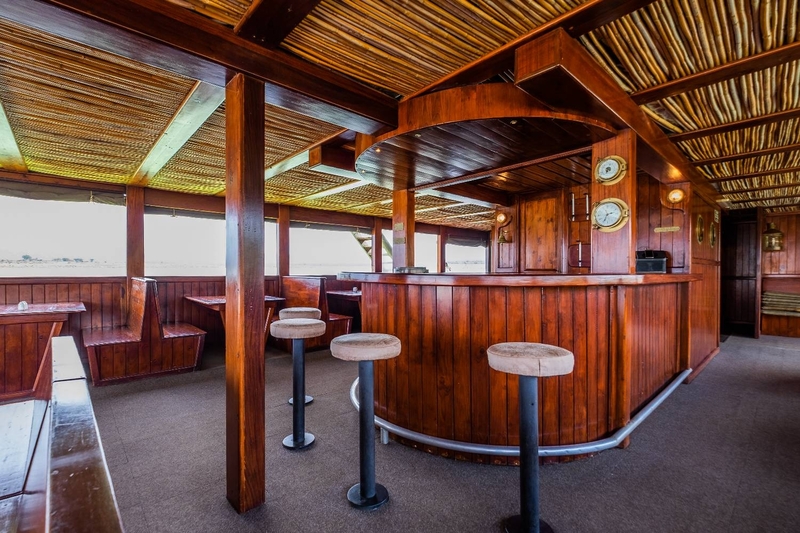 This 21 metre luxury day cruise boat with sun deck, bar, kitchen, braai and toilets is ideal for a relaxed trip on the Pongolapoort Dam. Departing from the Mvubu jetty, the Fish Eagle can carry up to 50 people in comfort and safety. The Fish Eagle is also available for special functions by arrangement. Linking the Dubula and Mpalane sections of the Pongola Game Reserve is the Mvubu ferry. Carrying up to 4 vehicles at a time, this novel route across the Pongola river opens up an exciting drive through the Reserve. Children over 12 years welcome. * Please Note: Prices subject to change without notice. Minimum of 25 people per cruise.